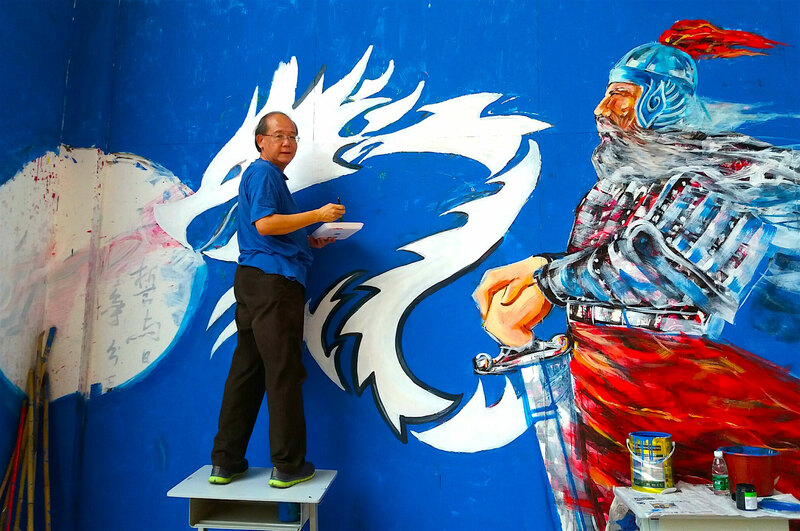 I have recently had the pleasure of meeting Malaysian Contemporary Chinese Painter Lum Weng Kong. 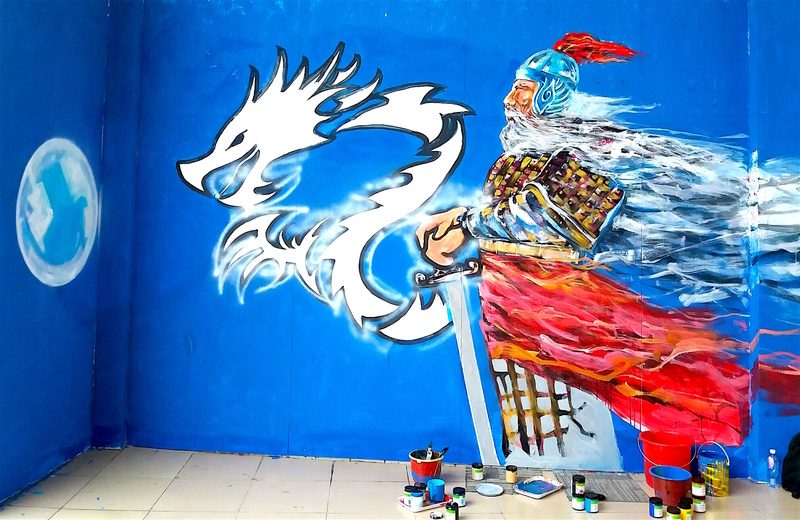 What a creative and kind man! 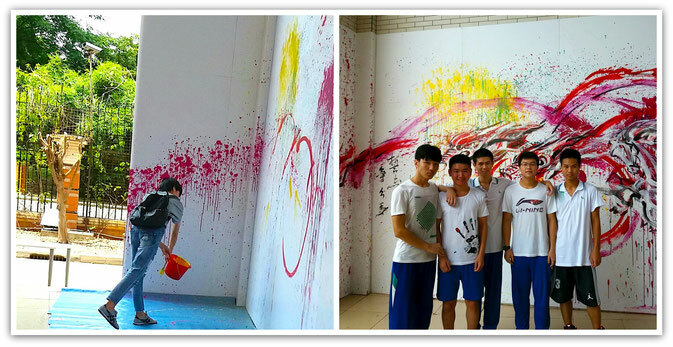 Lum is the currently the Art advisor for an Educational Group in Beijing, China. 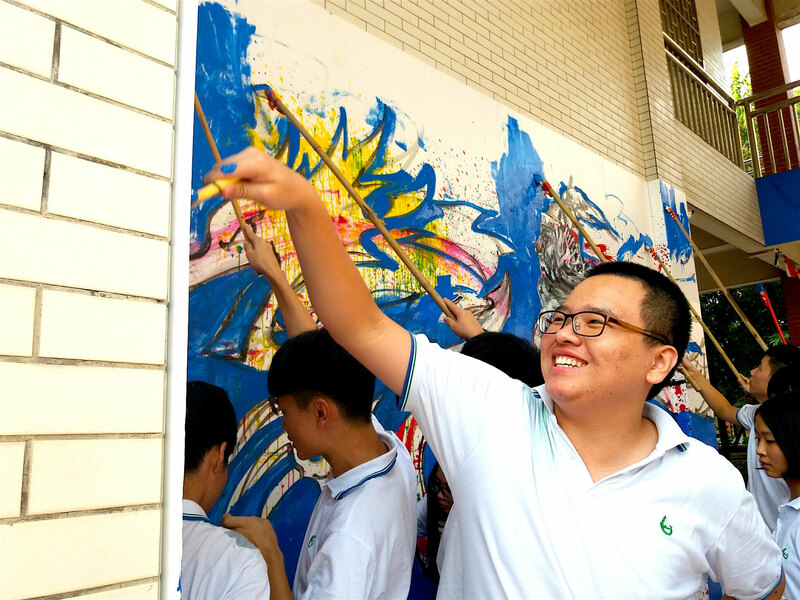 Lum shares his intuitive/expressive art making process workshops with international and local youth, and teachers as well. 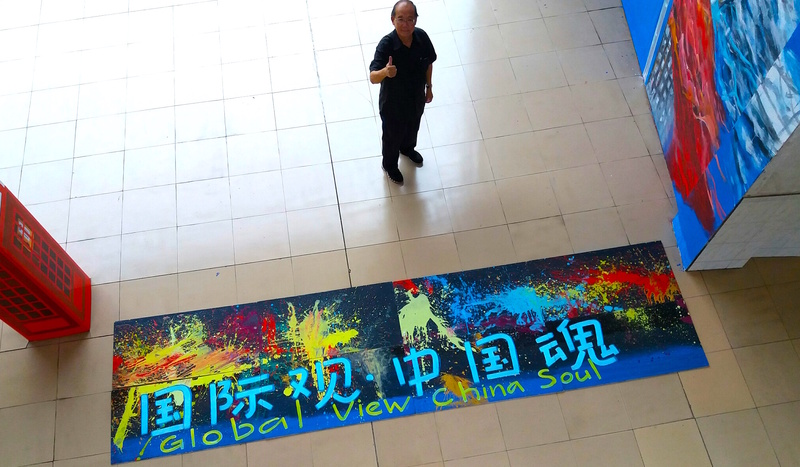 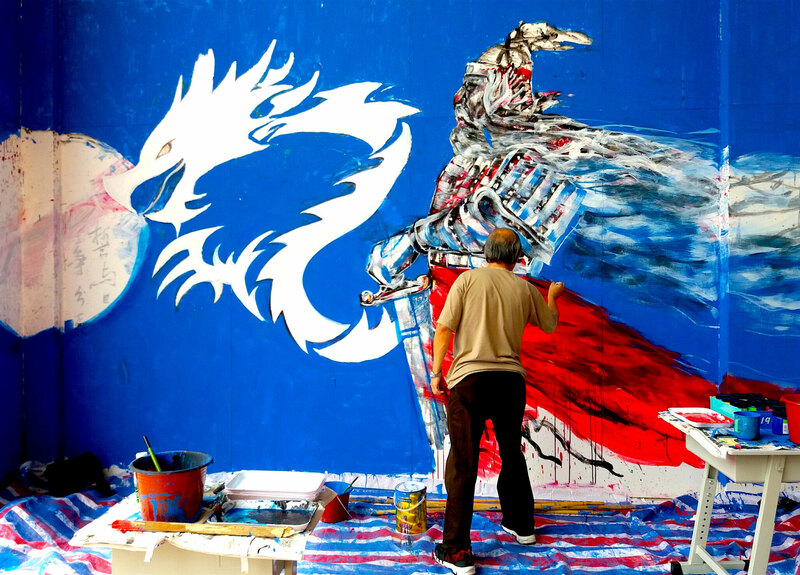 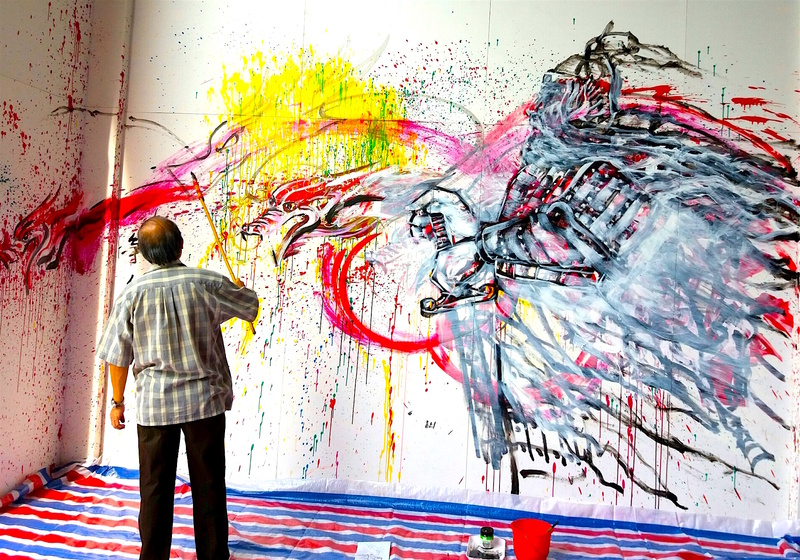 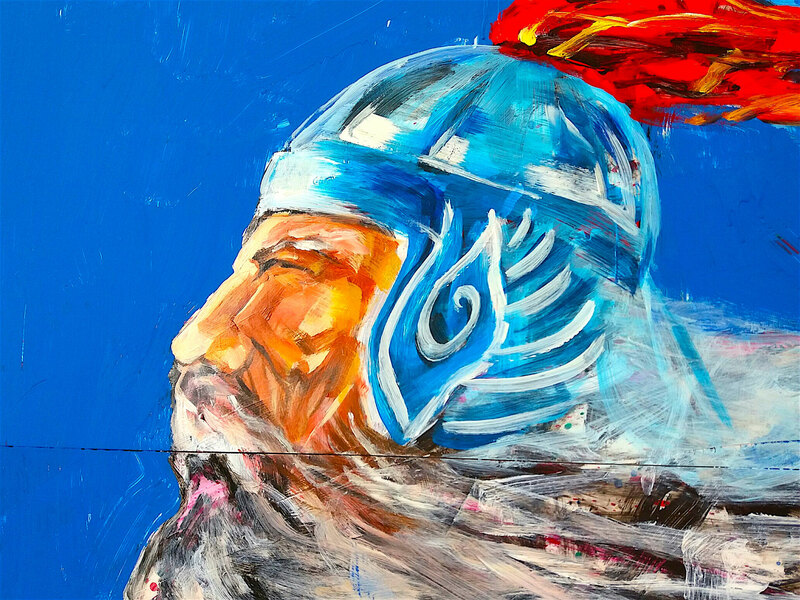 He has had 13th solo exhibitions both in Malaysia and China . 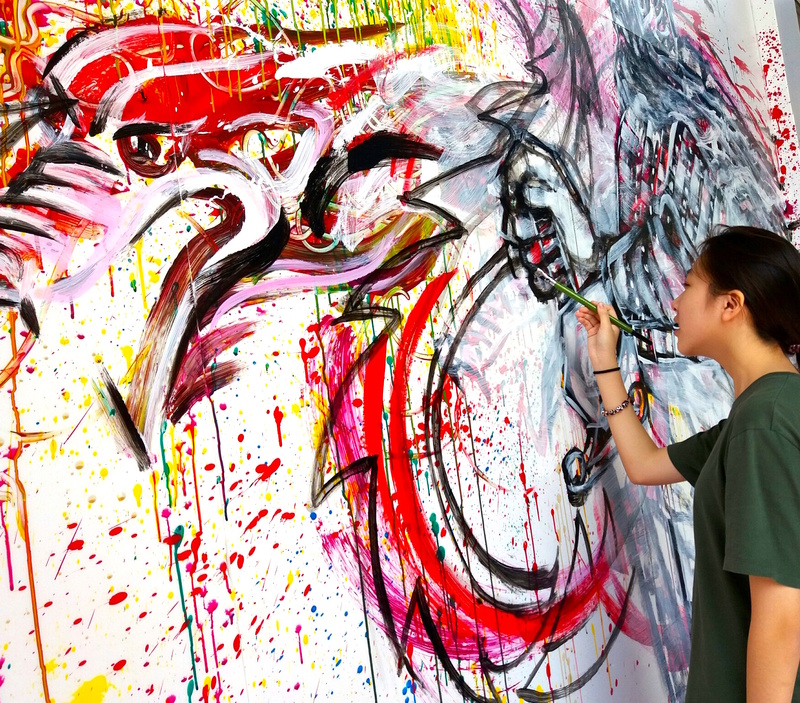 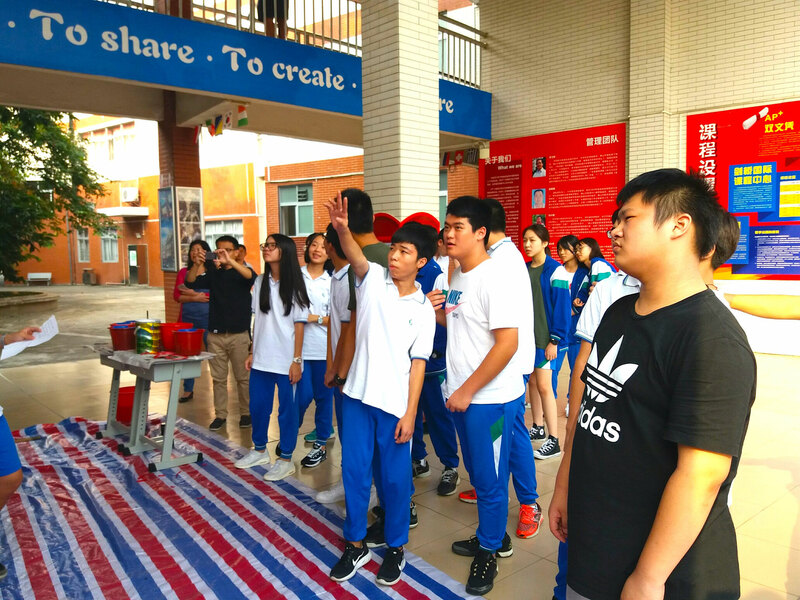 It is encouraging and exciting for me to witness Lum breathing new life and spontaneity into Chinese art education where the rules around art making are still quite traditional! 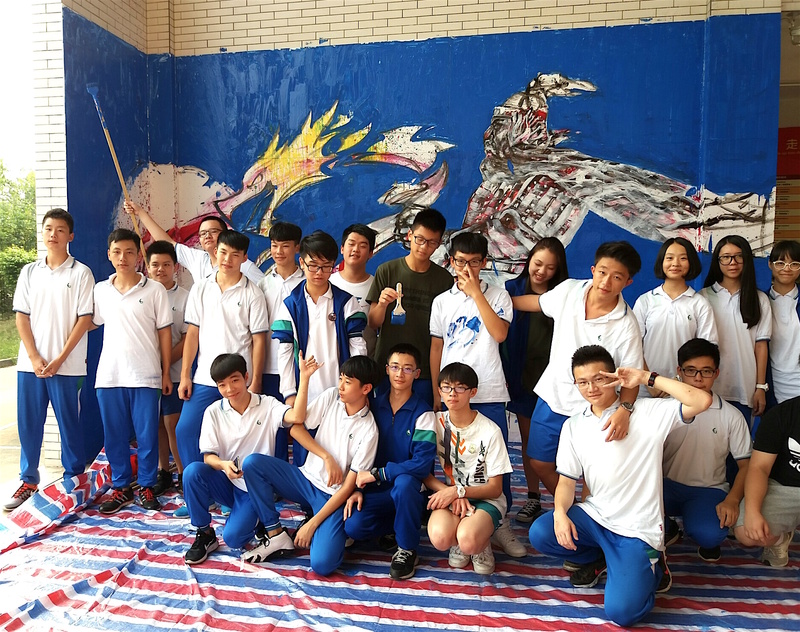 Lum Weng Kong's grafitti mural with students. 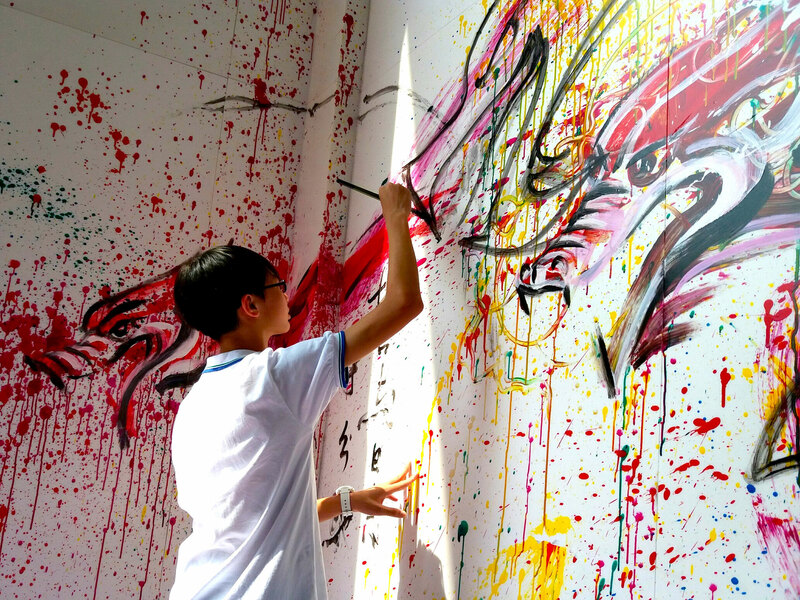 Lum shares: "The students, teachers, parents, they splashed, they doodled, they dripped. 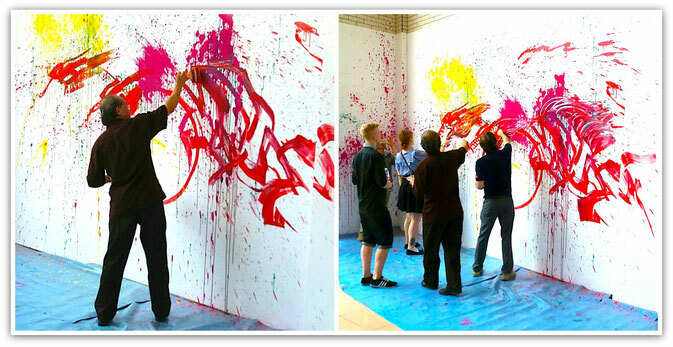 They really enjoyed the process. 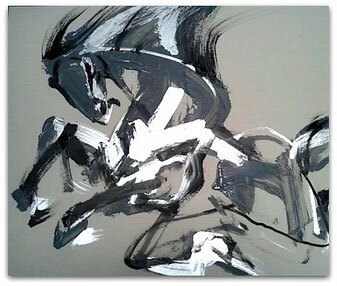 I resolved the whole process with my intuition, just using lines and shapes to make out images." 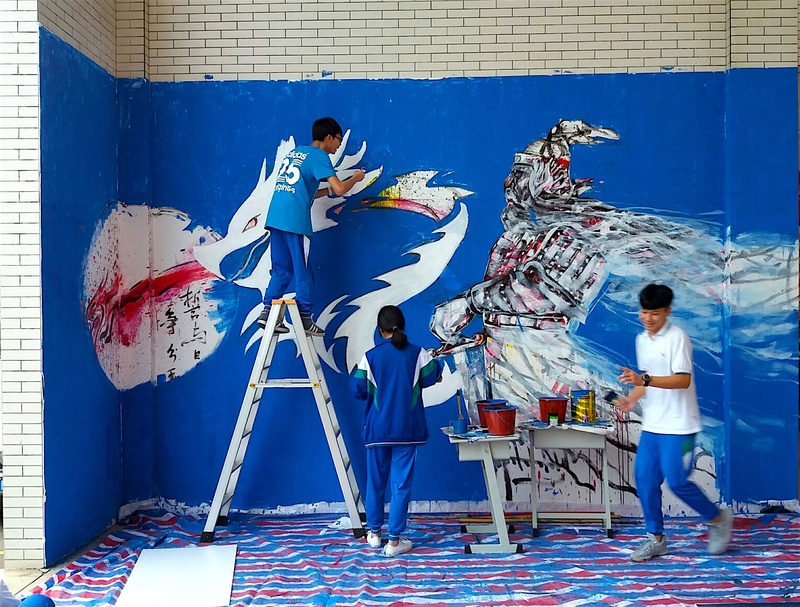 The entire unfolding of this mural was declared amazing and inspiring for all who participated! 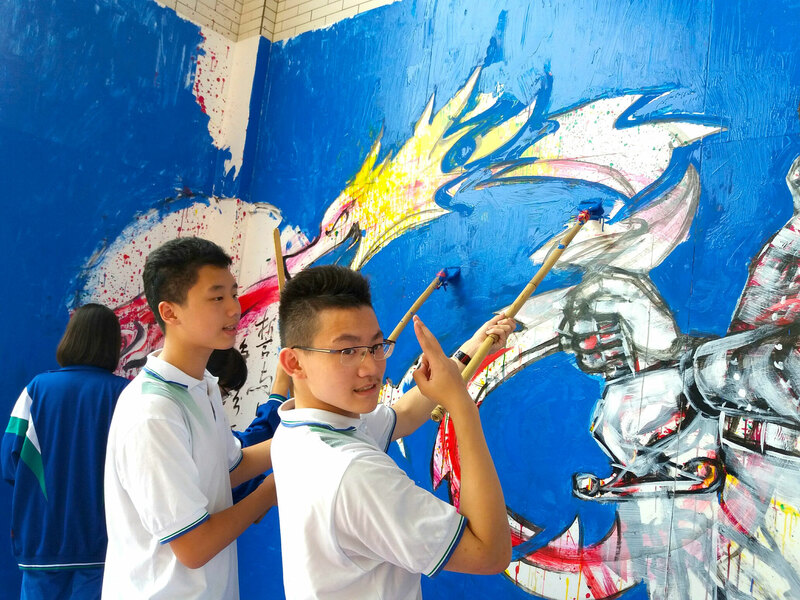 Lum Weng Kong and students resolving the mural intuitively. 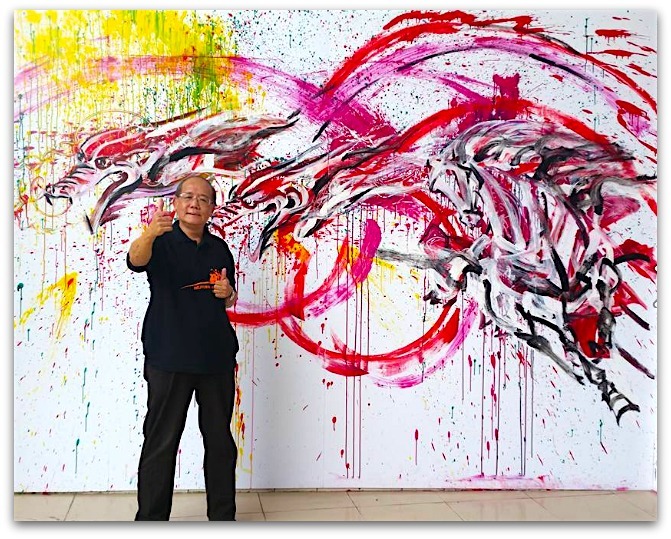 Lum Weng Kong has been appointed the International Cultural Ambassador by the renowned University of Creative Technology in Malaysia and is the Academic Advisor to Sabah Institute of Art and Advisor to quite a number of secondary Chinese schools in Malaysia.